By reducing impact on the body and increasing mobility and confidence, the Anti-Gravity Treadmill can provide the key to greater independence and faster recovery. 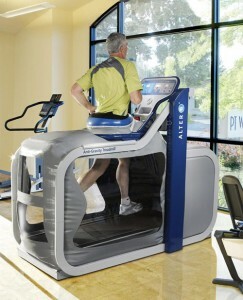 There are a multitude of benefits when training and rehabilitating on the AlterG. 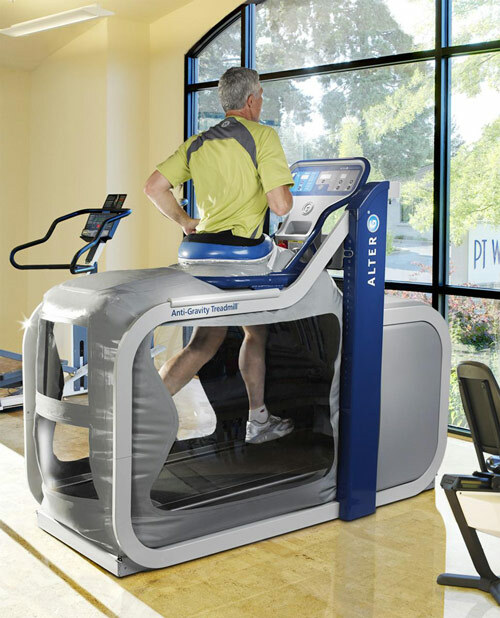 Patients can use the AlterG Anti-Gravity Treadmill to recover from injury and surgery and it allows them to immediately do partial weight bearing exercises. Patients with neurological disorders maintain, and in some cases even regain functionality and mobility working with the AlterG. It is also used as a motivational tool as users can immediately experience what it would feel like to weigh less, exercise with less joint impact and stress, and improve their cardiovascular health. AlterG’s unique anti-gravity technology was originally developed at NASA.